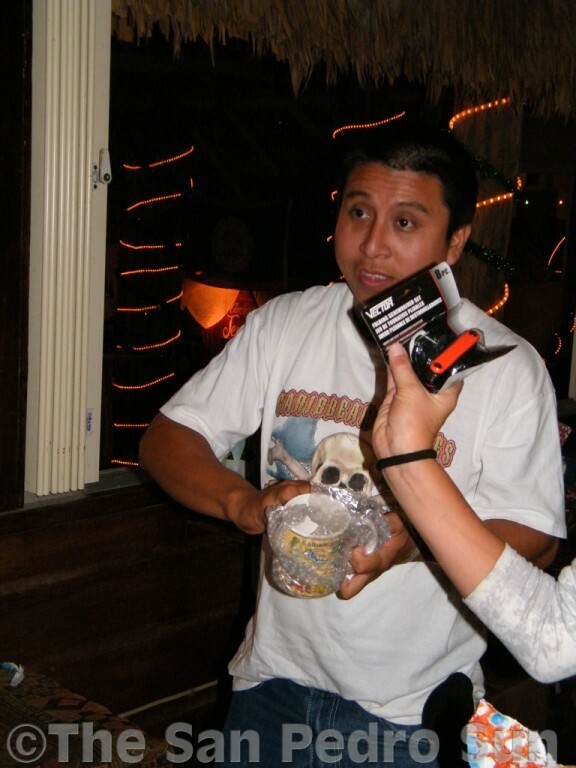 The San Pedro Police Department held its third annual Christmas Party which coincided with its monthly, quarterly and end of year awards for its officers on Saturday December 10th. The event, which took place at Fido’s Court Yard, was organized by Tammy Peterson and senior members of the San Pedro Police Department. 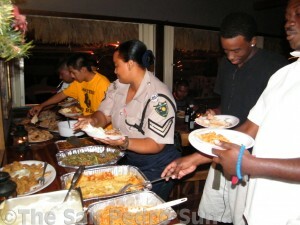 Both events were geared to the community and department appreciation to the hard working law enforcement officers. 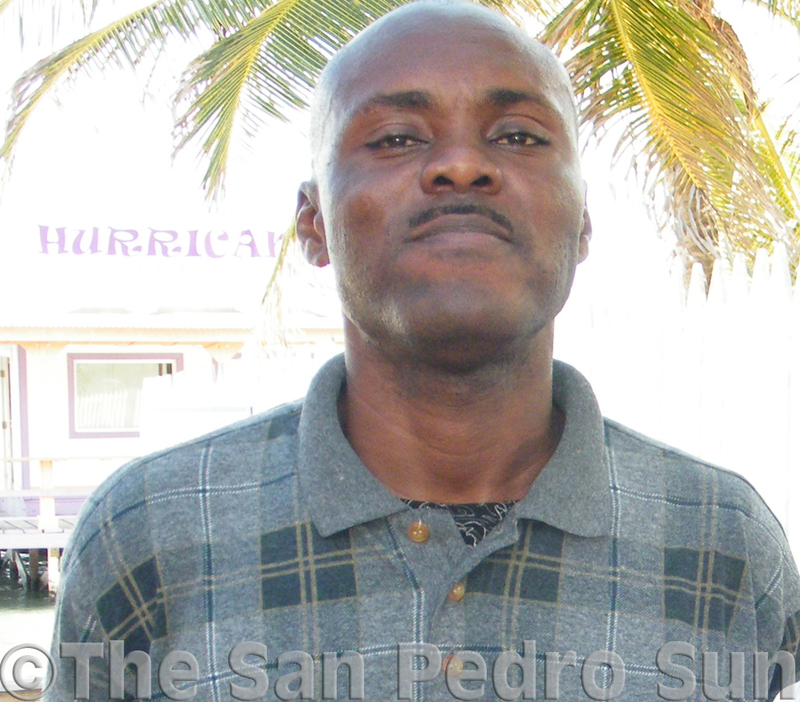 Peterson explained to The San Pedro Sun that the small party shows the community’s appreciation towards the work that the officers do for the island. “It takes about six months to get the officers on a scheduled day that they will be able to attend the event… As far as the food goes, I had great cooperation from all the neighborhoods and local businesses here,” said Peterson. Peterson explained that it is very important to show appreciation for the officers who often go overlook and their services taken for granted. “They deserve the party! I think that the officers do the best that they can and they work very hard; 38 officer manning a population of 22 thousand speaks for itself,” said Peterson. The police officers got to enjoy a delicious turkey dinner with all its dressings, deserts and cocktails. 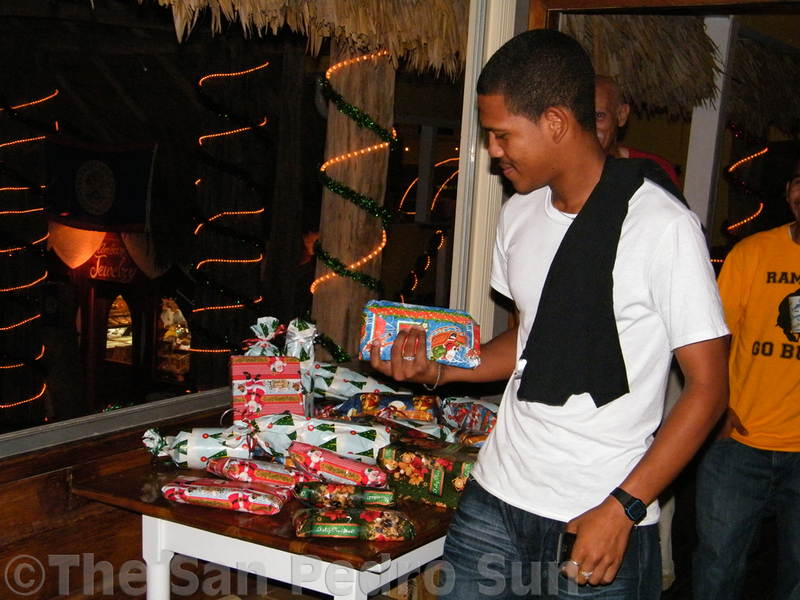 To compliment the season, each officer got the opportunity to choose a gift through a fun game that kept them entertained throughout the function. 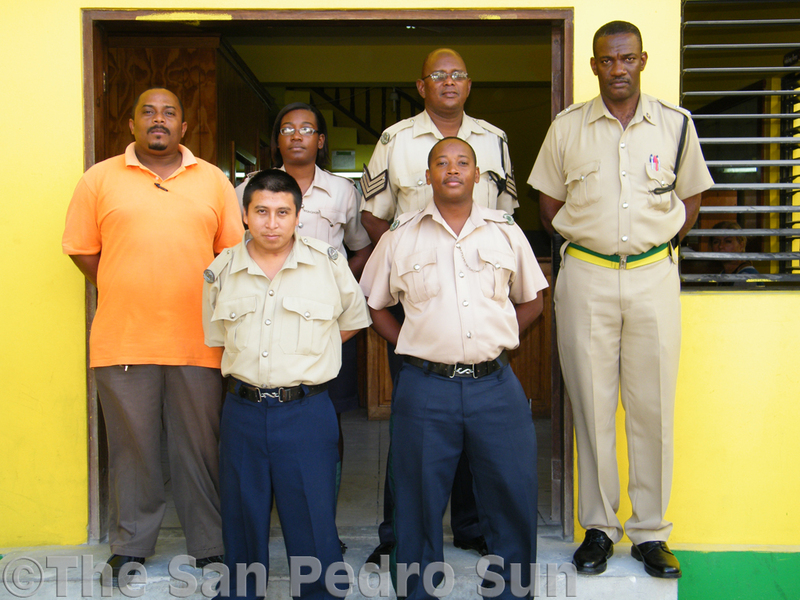 It is an annual event that the police officers look forward to as explained by the acting Officer in Charge of the SP Police Department, Inspector Ernel Dominguez. 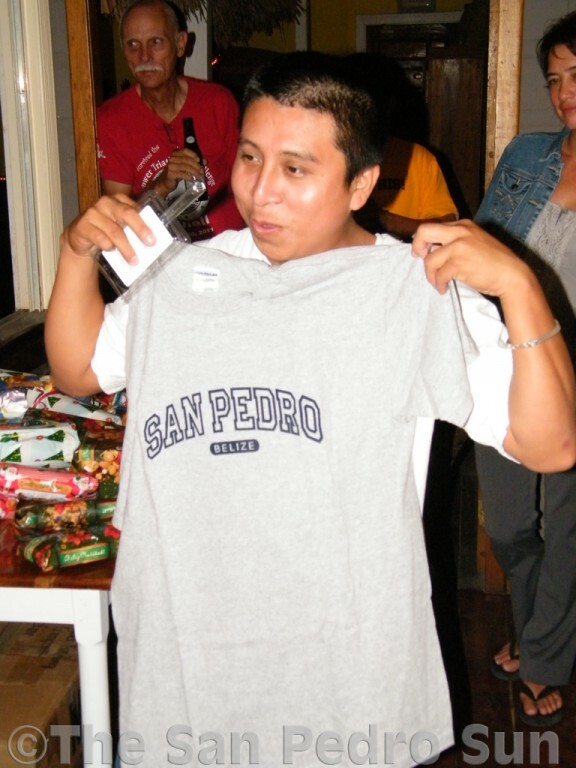 “The community of San Pedro has come together and some of them kept in contact with us and we are very much appreciative for this function. 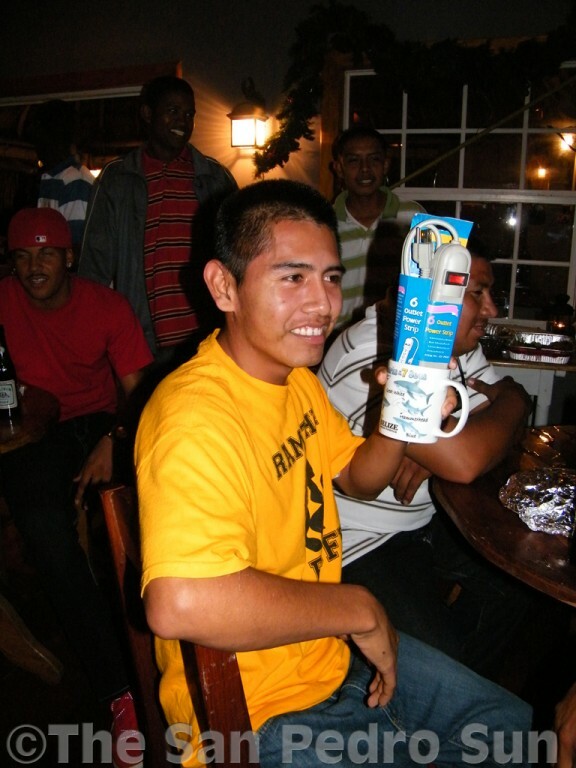 It shows that there are various sectors of the community that appreciate us. Looking at what the show of appreciation does in the longer run, it helps keeps our officer’s moral up,” said Dominguez. Officers for the month were WPC Kendra Thomas for July, PC Trevor Ramos for August, SC Albert Lawrence for September, PC Mariano Cho for October, SC Sedrack Dominguez for November and PC Artemio Chable for December. 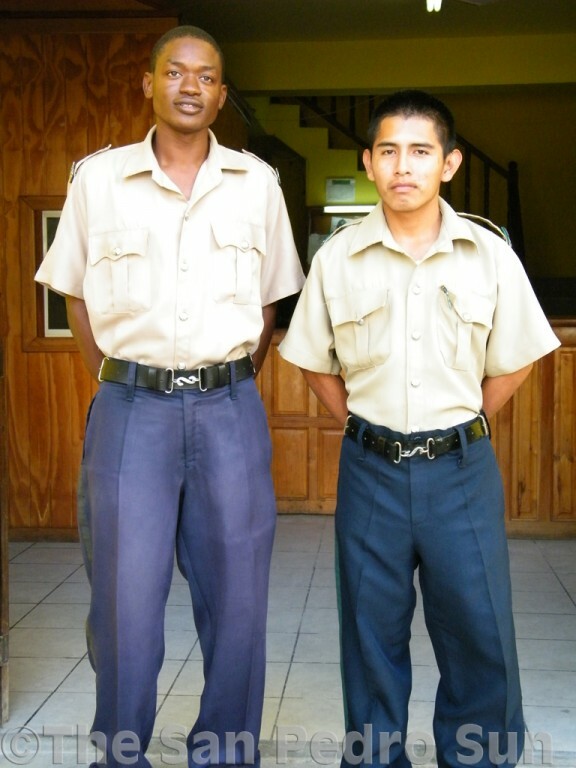 Officers awarded for the two last quarters of 2011 were Sergeant Ludwig Castillo for the period of July to September and DC Arthur Anthony for the period October to December. Officer of the year was awarded to Oscar Ramirez for his outstanding performance for the year 2011. 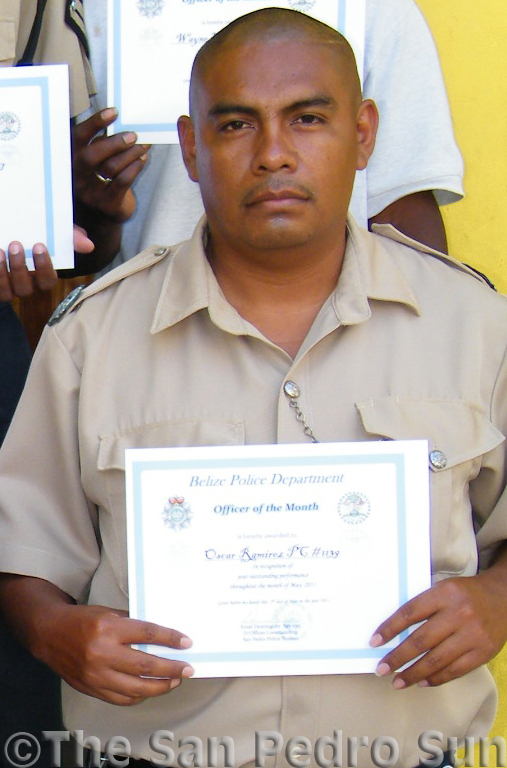 Special Promotion Award went to Inspector Ernel Dominguez who moved up from being a sergeant in November. Each awardee received a certificates and special gifts. Special thanks goes out to all those individuals and businesses that collaborated to make the events possible. The San Pedro Sun also takes the opportunity to congratulate all those officers who receive their respective awards.